(ver 1.2) This is now Part 11 in a series of very important basic Christian Bible lessons on the subject of Being Led by the Spirit of God. These lessons contain critical spiritual information necessary for the spiritual growth of every Christian and they directly apply to us in the modern world because we are the same church body serving the same God as those in the book of Acts. My foundational scripture verse for the series is “For as many as are led by the Spirit of God, they are the sons of God” (Rom 8:14). That verse makes it sound essential to be led by God or you cannot be called His child. Therefore, I believe that it is essential to know this subject. We have covered a tremendous amount of information that will not be repeated so if you have not read this from the beginning I would suggest that you go and start with “Part 1” first. In recent lessons, I have been moving through the book of Acts and observing the recorded (direct and indirect stated) methods used by God to lead the early church. We are beginning to see a set of repeated pattern of the same methods being used by God to build up and grow the Body of Christ. We are also beginning to understand an emphasis of certain methods of God over others that I have mentioned of how God leads His people. In the last lesson I introduced you to some new concepts when I described the contributing factors of peace and joy to be necessary for hearing from the Spirit of God. If you are depressed then you are not hearing from God. If you are not in peace you are not hearing from God. We have also seen repeatedly that those in the church that are being led by God are always those that are in unity with the other believers surrounding them. This means they were not arguing, fighting or debating over what anyone wanted to do individually, but that they were more concerned with what God was doing corporately for the greater plan and purpose of the church. Those being led today in the Church should be no different. God is not going to lead one part of a group of believers differently apart from another group of believers so that they fight over who is right and who is wrong. This is another important key to being led by the Spirit of God. Hearing from God should always cause love to flow which generates a spirit of oneness, agreement, harmony and unity. Today I am only going to teach in chapter 10 of Acts. It has just been making my lessons too long by me trying to teach on multiple chapters in one lesson. Acts chapter 10 is only 48 verses long but it is so rich with new information on my subject of being led by the Spirit of God, that this again will probably be a long lesson and I will probably only get approximately half way through the chapter today. I apologize in advance for the length of the lesson, but I believe this information is really important on the subject of being led by the Spirit of God. Acts 10 is probably one of my favorite chapters in the book of Acts and hopefully as we go through it today, you will see why I say that and maybe it will become one of your new favorite chapters also. Let’s start at the beginning with verse 1 and read down to verse 3. Act 10:2 A devout man, and one that feared God with all his house, which gave much alms to the people, and prayed to God alway. Act 10:3 He saw in a vision evidently about the ninth hour of the day an angel of God coming in to him, and saying unto him, Cornelius. It is very interesting for me to see the connecting and developing factors being tied together in these verses. It is also clear to me that God gives us many new clues and details like the hour of the day that these events occurred in this chapter. These details certainly have direct meaning and are not there by chance. There is nothing found in the Bible that occurs there by accident. Every word has a designed purpose of God. In the first verse, God is speaking about an Italian man, a Gentile by the flesh. Up until this point in time, the church was widely a Jewish set of believers that have accepted Jesus. But, Cornelius is clearly described as a Christian man; he is being labeled as someone who feared God. To fear God is not an indication of being afraid or terrified of God, but it is more the concept of being in an attitude of awe for God with a great reverential respect for His position, His power, His knowledge and His ability. This same Greek word is used in Ephesians 5 when God talks about a wife’s attitude towards her husband. This is clearly not the type of fear that she is to be afraid that her husband will hurt her. You see the risen Savior Jesus is the husband in this relationship with the church and the church is supposed to treat God with awe and respect. However, God’s attitude of love was first demonstrated towards us and He treats us with great tender kindness like the very valuable wife that He has given His all to find. You can learn this concept of God giving His all by listening to what Jesus said about the kingdom of God when He teaches the parable of a merchant man seeking valuable pearls. This merchant man goes and sells all that he has in order to buy the pearl of great value that he has searched for and found (Mat 13:45-46). 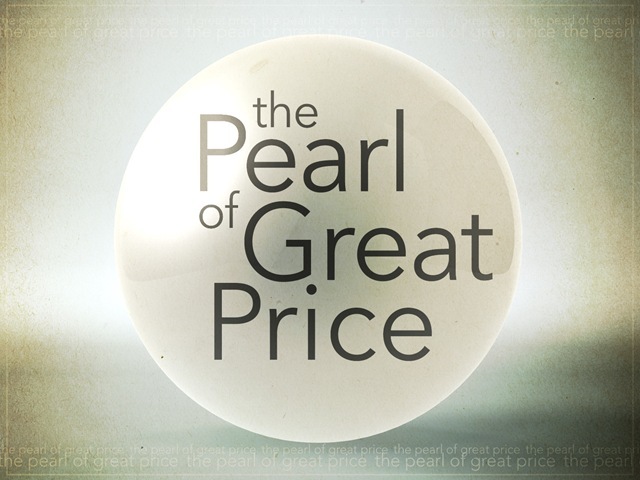 The merchant man in this parable is a type of Jesus and the pearl of great value is a type of us, the church. The great purchase price paid for us was the payment of His blood and His life. This was God giving everything that He possessed to buy us out of our major predicament of sin. What we learn as the symbolic pearl from this information is that how we view God will determine if God will be able to guide us with His Spirit. If we view Him as a God that will hurt us if we do not obey or make a mistake, then that is going to affect what we can hear and how we can hear Him. If someone obeys God out of terror then that someone becomes a slave to that fear. If someone obeys willingly out of their love for their God then that person actions are founded upon His love knowing if they do make a mistake that He is there to help them. You see you do not understand how much God values you if you believe that God will hurt you if you do wrong. One of the most important verses in the entire Bible is the one that states “God is love” (1 Jn 4:8)! Not God has love for us, but He is that Love for us. God has not given to us the spirit of fear. Fear is being afraid or terrified which is really an opposing force to love. This is why I wanted to briefly try to explain the type of fear being mentioned in Acts that Cornelius possessed that allowed him to hear from God. In the first three verses in Acts 10, Cornelius is also described to be a giver and this is a characteristic of most real Christians. Most Christians love to give to others. The United States gets accused of many things, but the majority of the charity poured out on the world comes from this Christian nation. Giving may or may not be a factor for what you think about God, the Bible and being a Christian, but giving is a huge factor for if you desire to receive anything from God. I’m not preaching works based giving; I’m teaching Spirit led giving. Obeying the law will not justify you, but obeying God will cause great benefits and blessings to occur. You see giving is tied to receiving everywhere in the Bible. You can see this as a stated spiritual law of God. It is called the law of sowing and reaping and it occurs everywhere in the Bible as a predominant theme from Genesis to Revelation. 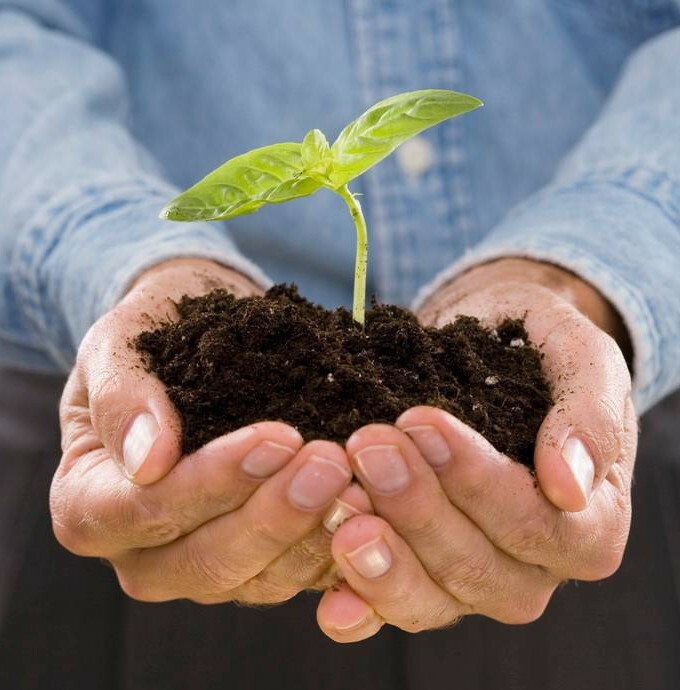 Sowing and reaping is not usually a popular subject and frequently ignored because people teach it only in regards to money, but this subject is found ever present in many areas other than money. There are over 10 things in the Bible referred to as seeds and if you don’t know them, then your ignorance causes you to potentially miss them. I have a series of Bible lessons on this subject so I will not repeat them in this lesson. If you want to read them you can go and see “Understanding Seeds in the Bible”. As you can see in verse 2 of Acts 10, Cornelius is praying. What happens when we pray? I think I tried to teach you that God hears and will respond. Here is another very clear example of that in Acts 10. Cornelius has a vision, but this time it is of a spiritual angel. So we have the spiritual realm becoming visible to a man in the natural realm through God’s use of a vision. This is an example of a combined method approach of spiritual communication. God used both a spiritual vision and a spiritual being or an angel simultaneously. This is certainly different, but it does happen. Other times in the Bible, God sends an angel into the natural realm and people see them physically and God can do either. This is also another example of an open type of vision. The man Cornelius is wide awake and his eyes are wide open. These are amazing confirmations that God will still use visions and angels directly in the modern church to give to us a specific message. Act 10:4 And when he looked on him, he was afraid, and said, What is it, Lord? And he said unto him, Thy prayers and thine alms are come up for a memorial before God. Act 10:6 He lodgeth with one Simon a tanner, whose house is by the sea side: he shall tell thee what thou oughtest to do. The angel tells Cornelius to send men to Joppa for a man named Peter. Notice that Cornelius does not know Peter. Why didn’t the angel just show up where Peter was and tell Peter to go and see Cornelius? I find it very interesting how God does things in this chapter and that is why I’m spending so much time in talking about it. Here we have an angel sent by God with a message to tell Cornelius where to go and get another message from God. Wow, that is just mind blowing, to many Christians. God tells Cornelius to go find a man named Peter because Peter has a message for him but as we read down in the chapter we are going to find out that Peter doesn’t know this yet. Why is that? Do you see what is happening here? The man Cornelius has a vision and sees an angel but does not get the message from the angel but is told where to go to get the message from a very certain man named Peter. In other words if Cornelius tried to get the message from the apostle John, he would have missed it Was it only because the angel did not know the message or was it that God was teaching these people involved some new spiritual lessons on guidance, helping them all to grow? Both men of God are required to walk by faith and not by their sight. Cornelius had specific steps of instructions to get Peter and Peter will be given specific words of instruction for Cornelius. Using this information you should begin to understand how God is going to potentially lead you? He is not going to tell you everything personally all at once. Sometimes He will just tell others what to tell you. Sometimes I am used by God to speak to people and sometimes God uses other people to speak to me. Sometimes I hear directly from God and other times He does things differently with me reading His word or hearing a preacher or a teacher. There are so many ways that God can speak that you just need to be observant and attentive enough to hear Him when He does. That is just the way He does it. I just try to learn the best that I can to flow with Him and that is all that I can do by faith. Ok, we are about to learn several new things in these verses. 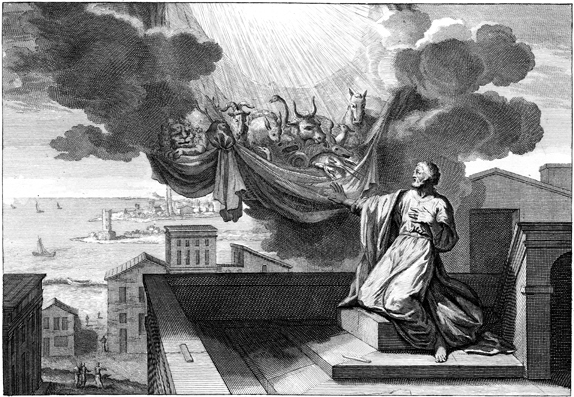 First, Cornelius sends men to get Peter and while they are traveling Peter is described to go up on top of the roof to pray. So again we see prayer as a major contributing factor for hearing from God. But, we should soon notice that it is not just the fact that Peter prays, but it becomes more significant that Peter prayed at just the right time that makes all of this really work together. This is why God is revealing the time factor in this chapter and teaching you that timing is everything with God. You can be told by God to do something and then do it too early or too late and miss what God wanted you to learn. During this prayer, Peter falls into a trance. That is the beginning of a very different manifestation of the Spirit of God. This is what I call a closed vision. A closed vision is one where the individual is not necessarily asleep, but not necessarily awake either. A vision during sleep is called a dream and this is not a dream. In other words, if you were observing Peter praying you might seem to think that he looked like a statue because he appeared motionless and fixed in one place. The condition of his eyes could be either shut or open, but they will definitely not be blinking. It might look like that he was sleeping if was not for the fact that he might be standing up or even kneeling down. Nowhere in the chapter does it say that Peter was directly lying down. It does say later in verse 20 that Peter is told to arise and this implies that he was not standing. But there are a lot of positions other than standing that it could be. What you need to observe is if God does not tell us the position then the position is not important. Too many Christians get focused on external things and totally miss the really important spiritual things. There is an unnamed church denomination that is highly ritualistic. They think that they will be heard by God by their faithful acts and works. However, that is just not the truth. During prayer what is important is the inward position of your heart and not your outward external posture or stance. Saul saw a vision while he was traveling. Stephen saw a vision while standing and being stoned. Here in Acts 10 we now have seen the third and fourth mentioned direct occurrence of someone having a vision and both of these times it was while they were praying. I’m not going to go through every verse, but this one is very good because it tells you directly that Peter heard a voice and we will find out in the next verse that Peter recognized that it was the voice of God speaking to him immediately. Remember what Jesus said to the Apostles? Jesus taught them about Him being the Shepherd and them being the sheep in John 10. Jesus also said that He knew His sheep and that His sheep knew Him (John 10:14). 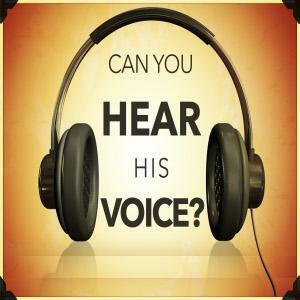 All of this information in that chapter teaches us that God’s children will recognize His voice. So God does not have to say “Thus saith the Great I Am”, He just speaks and Peters knows who is speaking. This is the same way with you and I. I hear His voice and I recognized Him to be my God and the voice of a stranger I do not follow because the stranger I do not recognize. That is called spiritual discernment. The more you understand about the Bible the more recognizable His voice becomes to you. God will never speak in opposition to His Word, but Satan will. You see in the Bible voices are always spirits and spirits are always voices. You will either know it or you will be deceived to follow another voice and that is usually fatal. As you can tell Peter understands who is speaking to Him because He calls Him his Lord. 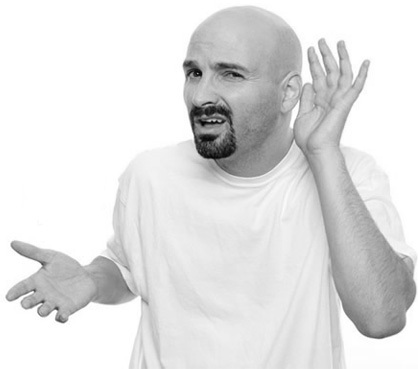 You may recall earlier that Cornelius had this same response calling the voice Lord. This was the Spirit of Jesus, the Great Shepherd the familiar known voice that was speaking to Peter. Here is where Peter’s problem begins, because he knows who is speaking and he thinks that his God is telling him to do something that was unlawful. Peter is greatly struggling with these instructions from God. What we learn from this is that God knows what He is doing and you don’t so you should not question, but should be obedient. As long you know the voice is from Him, you just need to do what He says. If you read down in the chapter God repeats these instructions 3 times, so Peter is on the verge of rebellion because of his lack of understanding of the purpose of the law. God says my people are destroyed for a lack of knowing (Hosea 4:6). So Peter must learn quickly or get left out. Why didn’t Peter just ask God to explain what was happening? Did you know that you cannot ask God any questions that are too hard to be answered? You can ask God a dumb question, but as long as it is not a question of doubt or unbelief then it is a valid question. Let’s discuss briefly the vision of Peter. Did you notice that the vision was about food and in verse 10 it said that Peter was already hungry? Do you think that God can give you any physical feelings? I know the Bible says that God is a Spirit, but I’ll ask you again, do you think that the Spirit of God can give you a physical feeling like that of natural hunger? I know for a fact that God can manifest in these ways if He so desires. After all God invented natural feelings so it is not difficult to manifest them. Again I will tell you that this is God’s choice and not our choice. But, God can come into the natural realm to make Himself known for any purpose and in any way that helps to teach us. When I was first filled with the Holy Spirit, I felt a strong heat like a fire from the Spirit of God inside of my chest and sometimes it was so strong that it was very distracting. I feel this heat of the Spirit of God in my chest right now as I type this lesson. This is clearly a physical feeling in my flesh caused by the Spirit of God residing in my spirit. If you do not believe me I’m sorry, I can’t prove it to you; this is for my benefit and not for yours. However, I do know that what I feel physically is scripturally based. Have you read the recorded words of John the Baptist? He said of Jesus that “I baptize you with water, but there will come one after me that is greater than I and He will baptize you with the Holy Ghost and fire” (Mat 3:11, Luke 3:16). I can tell you about this fire from God, but I can’t make it happen for you and neither can you. However, there is a difference, you can pray in faith and ask God for this experience since it is a recorded promise found in His Word for you. If you want the fire of God ask for it now. Let’s go back to Peter’s vision. What I found significant about Peter’s vision was the fact that he was feeling very hungry and suddenly God gives him a closed vision about food that needed an interpretation in order to be understood. Visions and dreams that required interpretations were given by God many times in the Old Testament. But, this is the first time we can see that God is doing this again in Acts. Realize that God is still the same God today as He was back then, and He can do whatever He likes. Just learn to flow and then learn that God still uses dreams and visions that need interpretation. Verses 11-16 in Acts 10 describe the vision of Peter and since this is not my direct subject I’m going to skip it. They basically give several symbols, a sheet carrying many wild animals of the earth that are lowered down from heaven. God tells Peter to kill and eat and Peter tells God I have never eaten what is common or unclean. God then tells Peter “Don’t call common what I have made clean”. Uh, oh? God is definitely teaching Peter something new. This was God teaching Peter to get out of his box because He was doing a new thing on the earth. Here is what I have been trying to say about Peter’s view of what was happening; that he did not understand what the vision meant yet even though God had just given it to him. This is what happens to Christians in the church still. Just because God gives you something does not mean you will understand it immediately. Peter had a conflict in his mind because he was attempting to interpret and judge the vision by his old knowledge of the law of God. God declares many things in the law to be unclean for human consumption but, now God has said to Peter to kill one of these and to eat it. This was a common problem for many converted Jews when they first become Christians. They tried to hold on to their old traditional understanding of the laws of God too tightly when God was clearly saying “those were only shadows of new coming spiritual things”. Paul taught this problem in Romans and Galatians and other places. There was a constant struggle for man to try to keep the law and God is teaching them to be led by the Spirit instead. However, what God was doing was using Peter’s knowledge of the scriptures in the Old Covenant to bring him a new revelation of what God was doing in the New Covenant. Go back and reread this chapter again very closely. It is actually a great lesson to learn many things. First see what timing plays in everything that occurs. Then realize that God must be guiding multiple people simultaneously to get all of these things to happen at just the right times. God gives multiple limited step directions using two types of visions, an angel and a voice directly from the Spirit of God and everything occurs at just exactly the right time. It is pretty amazing to me. Act 10:19 While Peter thought on the vision, the Spirit said unto him, Behold, three men seek thee. I want you to realize that the Spirit of God is directly attributed with speaking to Peter and that this is the second recorded direct example of God doing this in the book of Acts so far. I’m not sure if I pointed out the first occurrence, but there was one recorded in Acts 8:29 that said the Lord spoke to Phillip directly. I really do not believe that these are all of the times that God speaks directly, but I do believe that these are mentioned to teach us that God still does this. 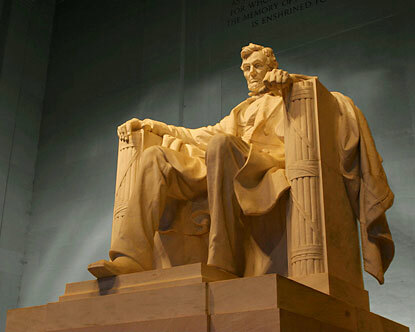 I want you to understand also that it does not say what kind of voice these men heard. It could have been an external audible voice or more than likely it was the internal still small voice of God within them. Again, how God speaks is not as important as what God says. I hope you understand that. You should not really focus or care about the method, but you should care greatly what God said. Also notice that God speaks while Peter is using his God given mental reasoning faculty to try to determine what the vision means. In other words Peter was focused in on the very important content of the vision and not the fact that he had just had a great vision from Almighty God. Wow, what a lesson to learn today. Don’t stand in awe if God gives you a vision and miss the message! While all of this is happening to Peter, the men from Cornelius’ house just so happen to show up and the Spirit of God says they are here and to go down to see them because I have sent them. Notice God claims responsibility for what is transpiring. So is God doing it or are the men doing it, or is everyone doing it together? Take a look at what God is doing. God is teaching them all spiritual lessons by giving them many different limited steps to follow. These are examples of God teaching them using tiny baby steps of divine guidance. Things are beginning to fit together as each part of God’s designed plan is revealed and fulfilled. The men of God are definitely participating and this demonstrates clearly that they are all being led by the Spirit of God. What we are observing is men working with the Holy Spirit’s guidance to achieve a greater purpose. Without the participation of each man and the direction of the Spirit of God, we may not have any Gentiles in the church today. Pay attention to the fact in verse 20 that God is directing Peter to not doubt and also to be obedient. Why is God doing this? What is doubt? Doubt is the opposite of having faith. If you have doubts then you are not fully in faith. I keep going back to faith, because this is the key factor for following God, being led by God and for being pleasing to God. 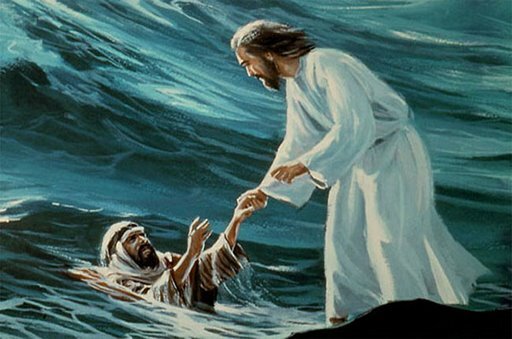 Jesus taught Peter about doubt when Peter left the boat to walk on the water with Jesus. Because of Peter’s doubts God says Peter began to sink (Mat 14:31). So how does this knowledge that Peter possessed apply to his current situation? To me it is obvious that doubt causes people to go down or fail. That would mean the opposite truth would be that not to doubt would cause people to have a successful outcome. You have to understand that God has not told Peter who was at the door to see him. God only said, “Men are here and I sent them”. Here is the opportunity for Peter to doubt. These men sent by God were all Gentiles and that causes a problem of potential doubt in the mind of a man who feels special for being a natural born Jew. Peter could have looked at the circumstances and thought that these men can’t be from God. There was a great revelation coming that everyone is welcome in the New Covenant and not just the natural Jews and that was the plan of God to bless all nations in order to grow the church beyond the borders of natural Israel. But, Peter didn’t know this yet. Peter was about to learn a revelation that was hidden in God’s covenant with Abraham and this was how God chose to reveal it to him. I hope you understand the concept of revelation, I will do a separate Bible study on this subject soon. Act 10:21 Then Peter went down to the men which were sent unto him from Cornelius; and said, Behold, I am he whom ye seek: what is the cause wherefore ye are come? Peter still does not know why they are here even though God had just given him a vision to why they are there. God even told Peter that He had sent them but, Peter has just not put all of the pieces of the puzzle together yet. Have you ever realized that God gives us many things using a puzzle format in the Bible? If you do not understand this then you do not understand the joys found when solving a divine puzzle. There is great satisfaction gained from solving the complex puzzles given to us by God. Maybe only computer programmers, like me understand this. It causes a sense of accomplishment and God uses it to promote your morale, confidence and self-esteem. God is interested in teaching you how to do things. It is an error to think that God wants to do everything for you. God wants you to grow in spiritual things so that you can come up to a higher level. Did you know that? I think that is a little bit controversial to many and it sounds like I’m contradicting what I said in an earlier lesson that without God we labor in vain if we do things independent from God. There is a huge difference from doing your own things in independence and doing specific God kind of things by faith expecting Him to work with you and guide you. A guide will never come to you and carry you; that would be them doing everything and you watching. A guide should give directions and show you the way to go and you should make the effort to obey and to follow them. Wow, that is unity and harmony of God working with you and you following God. You see when I write Bible studies for you to read, I do it, but I am expecting God to show me what to do using my faith in Him. This is what is happening in this chapter of Acts also. If that was not true then God would not be doing what He is doing, the way He is doing it in this chapter. If God simply wanted to get new information into the hands of the church the fastest way possible, He could have done things in a much more simplistic direct manner with both Cornelius and Peter. They could have all immediately known everything instead of having to walk by their faith. However, walking by sight is just not what is happening here in this chapter. Everyone is working through the process and learning and this is God’s hidden plan. I pray that I am describing these things in a way that teaches you how God will deal with you. Act 10:22 And they said, Cornelius the centurion, a just man, and one that feareth God, and of good report among all the nation of the Jews, was warned from God by an holy angel to send for thee into his house, and to hear words of thee. I want to reemphasize that Peter still has no clue what is going on or what he is supposed to say to Cornelius. God has never told Peter that he was to go directly to see Cornelius either. God has only told Peter I sent these men to you. So what these men tell Peter is totally new to him and they bring words sent from God through a Gentile man. Peter is required to believe a message came from God from a Gentilie man. Cornelius is also required to beleive a message came from God from Peter. Do you really understand what is happening? God had just gotten through speaking to Peter directly but never gives any details to what is happening or why. Peter still does not have a clue what words he is supposed to share when he goes to Cornelius’ house to speak. Are you learning now what is happening? Do you see how everyone is required to walk by faith and not by their sight? I know I keep repeating myself, but that is so very important that I want you to really understand it. God purposely provides limited instructions in phases and stages of development that all will fit together eventually. Cornelius’ giving was mentioned as a key factor for getting God’s attention. Prayer mentioned as a connecting reason twice for having a vision from God. Faith is always a key to being Led by the Spirit of God. An open vision was given to Cornelius and he sees an angel with a limited message from God to go get Peter to hear the real message from God. Peter experiences physical hunger and is given a closed vision about food and eating that needs an interpretation in order to be understood. A clear vision was given to Cornelius that needed no interpretation. 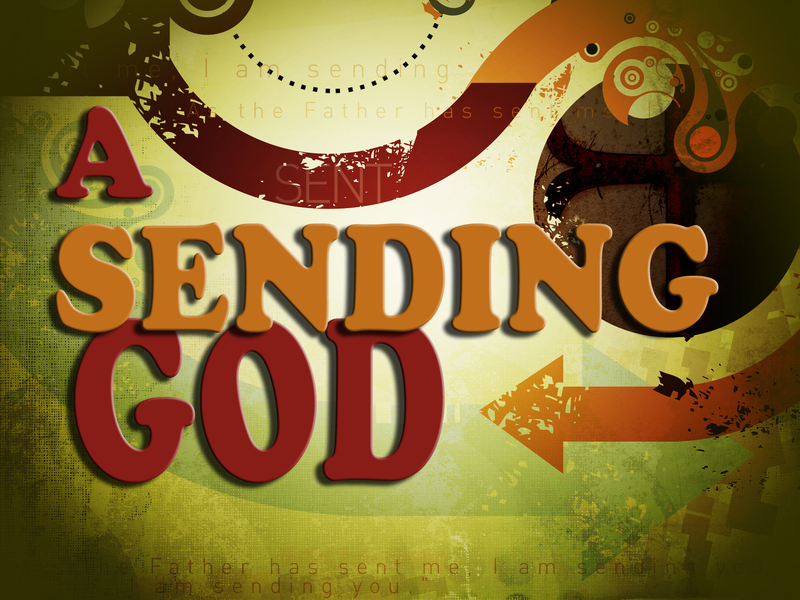 God gives Peter a symbolic cloaked vision that needs interpretation. The interpretation of the vision required Peter’s knowledge of the Word of God. God spoke directly to the spirit of Peter with a very clear voice but with limited details being given and Peter was required to believe the words of the men sent to him. 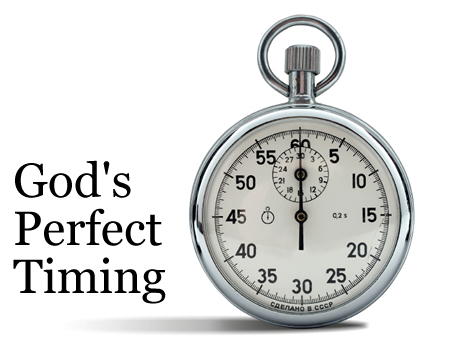 Timing in every event mentioned is a key to the success of the whole purpose of God. Every man involved heard from God, obeyed and cooperated with the Spirit of God to accomplish God’s plan. The purposed outcome of the plan will be a new revelation from God and the continued growth of the church. This is what is happening today in the church whether you realize it or not. God is revealing the Bible, the knowledge of His people is greatly increasing and the church will grow until Jesus returns very soon. Get into the plan or you will be left behind. Be in unity, hear His voice and be led and we will exit as the victorious church body of Christ. Thanks for taking the time to study the Bible today. I will continue this series soon, but please leave me a comment about how you have heard from God. I guarantee that He is speaking, just be attentive, pray and listen. God Bless you and thank you for your time. To continue reading in the series you may go to “Part 12” now. Posted on November 21, 2011, in Bible Basics, Bible Study, Understanding and tagged Being Led, Christianity, Church, God, Holy Spirit, Jesus, Prophecy, Religion, Revelation. Bookmark the permalink. 8 Comments. God bless you brother Ron. Thank you so much for the lesson. God recently gave me a vision, and I knew what God was showing me I was just doubtful that it was me that he wanted to use for the assignment, And just as he did here with Peter he sent confirmation of the what the vision ment and was saying, and that Yes indeed it was I he wanted to use.And of all the things on the enternet to read today he brought me to your page,for further explanation! God has spoken to me in recent months and I’ve yet to understand what He is saying, this lesson has helped me to understand the fact that He won’t tell you everything at once, it’s all about faith. Thank you for your time reading and your comments. Yes, you have found the main point of the New Testament. Everything is based upon faith and that means we don’t know everything. God Bless you! Yes I think you are right. People get too comfortable with things and let Satan deceive them. Not being in fellowship with GOd allows other spirits access. Thanks for your comment and your time. Blessings.